Home > Entertainment > Could these be the real #MMA16 winners? Could these be the real #MMA16 winners? 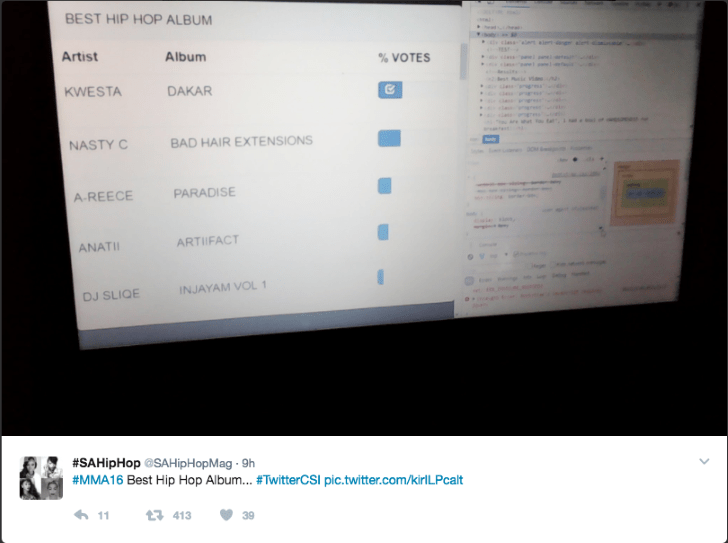 We saw a tweet about someone hacking the Metro FM servers and finding out who the real #MMA16 winners were but we ignored it because this is SA and such things don’t happen… or so we thought. 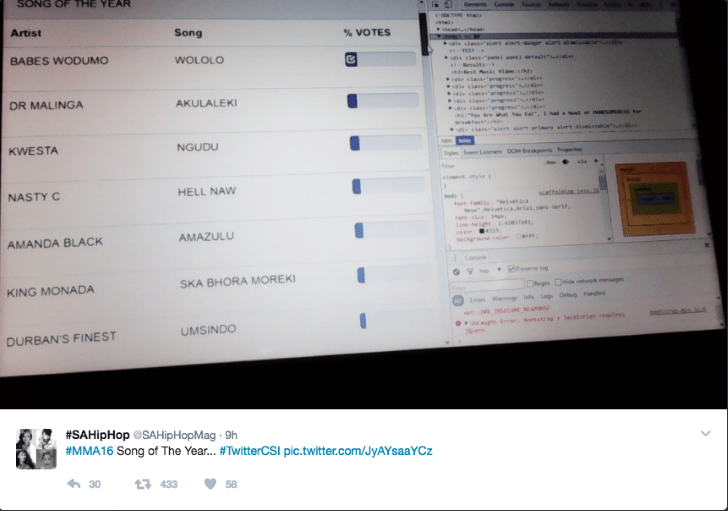 A twitter user by the name, SA Hip Hop Mag (not to be confused with local hip hop blog SAHipHopMag.co.za) sent out tweets of images of what looks like the back end of Metro FM’s site to uncover who the real winners of the 16th annual Metro FM music awards were. 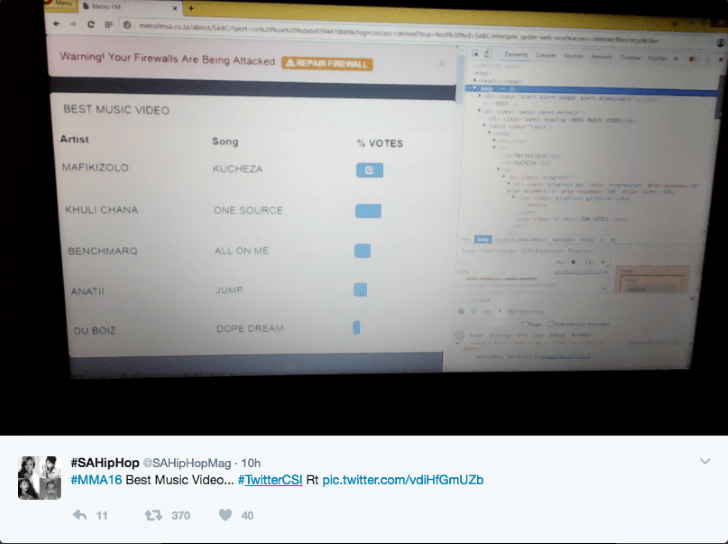 According to the images, Babes Wodumo’s smash hit ‘Wololo’ is the real winner of the song of the year award and not Nasty C’s ‘Hell Naw.‘ A number of other categories (including the highly contested ‘Video of the Year’ category) were also revealed in the images which you can take a look at below. The blogger then went to thank an anonymous Twitter user who goes by the handle ‘Siya From Finance’ and based on what we saw, that account is clearly a catfish account. The SA Hip Hop Mag account has since be deactivated. Metro FM is yet to release a statement and we cannot yet verify the veracity of these claims but we’ll be sure to keep you posted as the story develops. Share your thoughts with us on social media.